everybody and after SWM come to me and ask me to do racing for them. 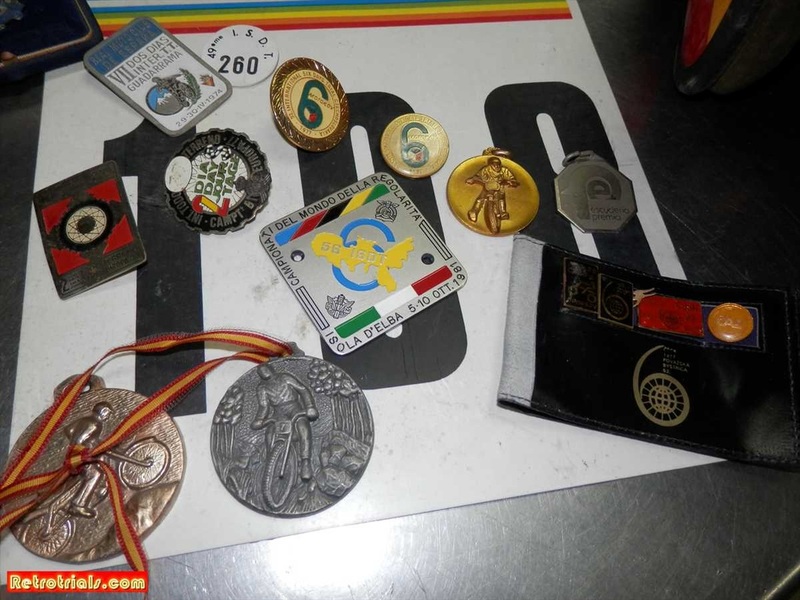 I say ok, you pay me .They pay me 20,000 euro and give me 50 bikes . For this I make team from my 10 friends to ride the Spanish championship. 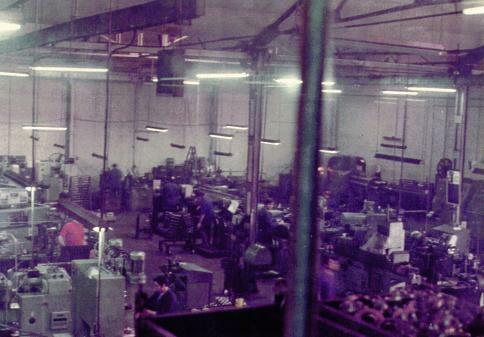 The SWM Spanish team that GasGas ran and organised on behalf of the factory. Piber is 2nd from the right. 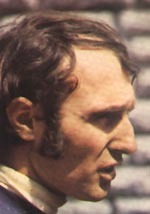 Pep Piella and Juan Riudalbas were both Spanish SWM riders . 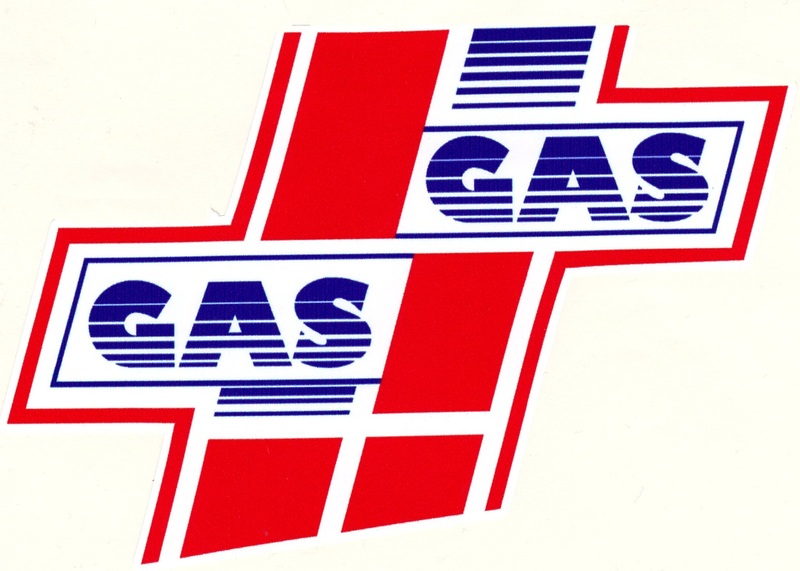 The entire team was run by GasGas during part of the 80's. 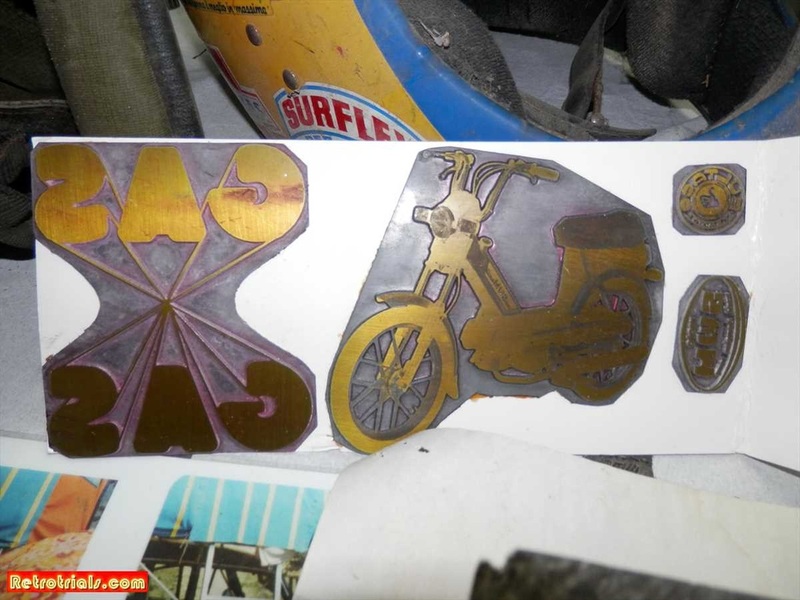 Piber showed me the original GasGas SWM and Bultaco stamps that he had made up. 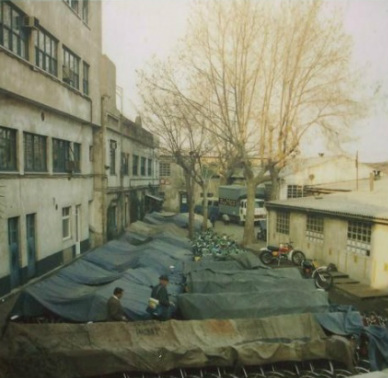 In my first year with SWM I sell 2000 bikes of SWM. 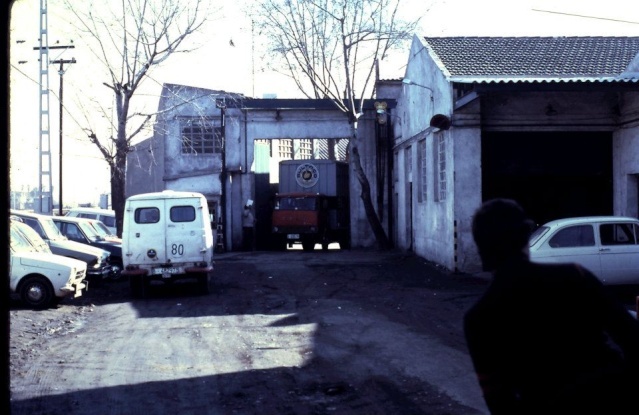 At this time 1 Montesa cost 200,000 pecetas about 1000 euro’s and the SWM is 2000 euros and I pay 60% customs to enter Spain. It was a very nice bike, light nice. SWM was a very nice bike. It was double price of Montesa. 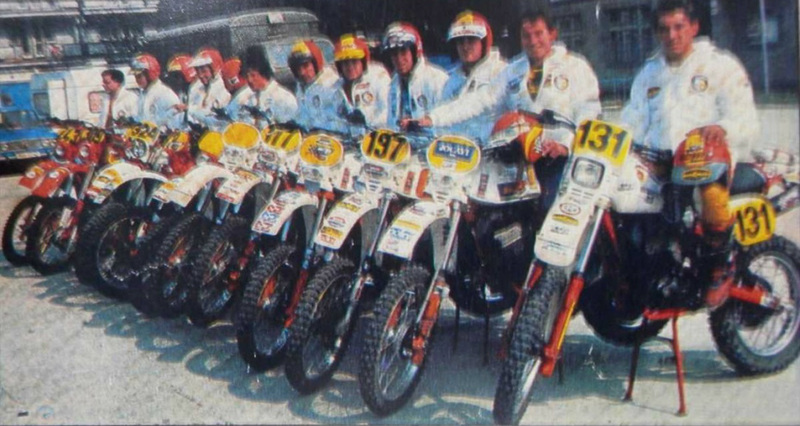 Which years did you ride the Spanish championship? make prepare for the race and I see him before the race and I ask him where he has been and he say ha ha I am practising. 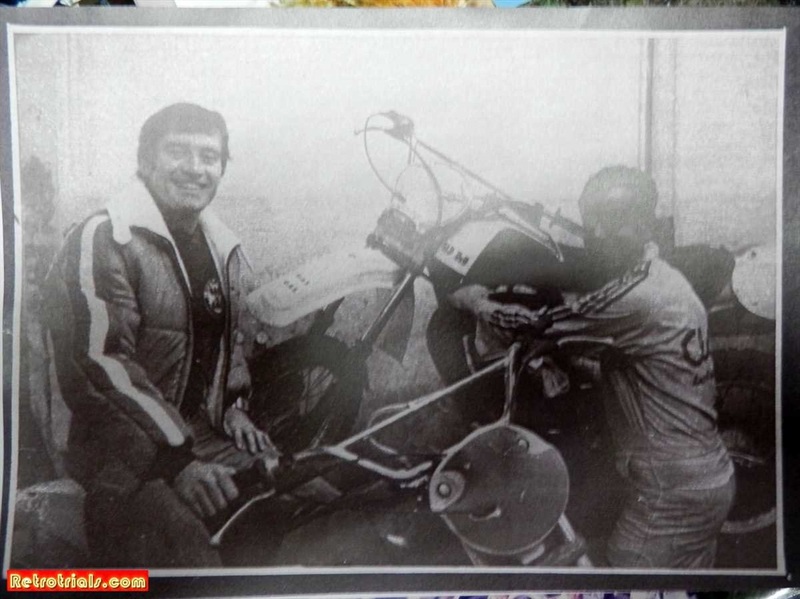 Oriel Puig Bulto was a successful rider and a friend to everyone on the Trials circuit, at a time when brand loyalty was at fever pitch. The manager is Oriel Puig Bulto and he say to me “Hey Piber I pay you for first, but you no push Narcis”. I arrive 2nd ha ha. Narcis and me were very equal. He is a very good friend and is a tremendous rider. I was always very close. He was one second in front of me or I'm one second in front of him. Some time he is kind to me and he help me win and other times I help him. At this time we are partners. We do this for the competition for 7 years. 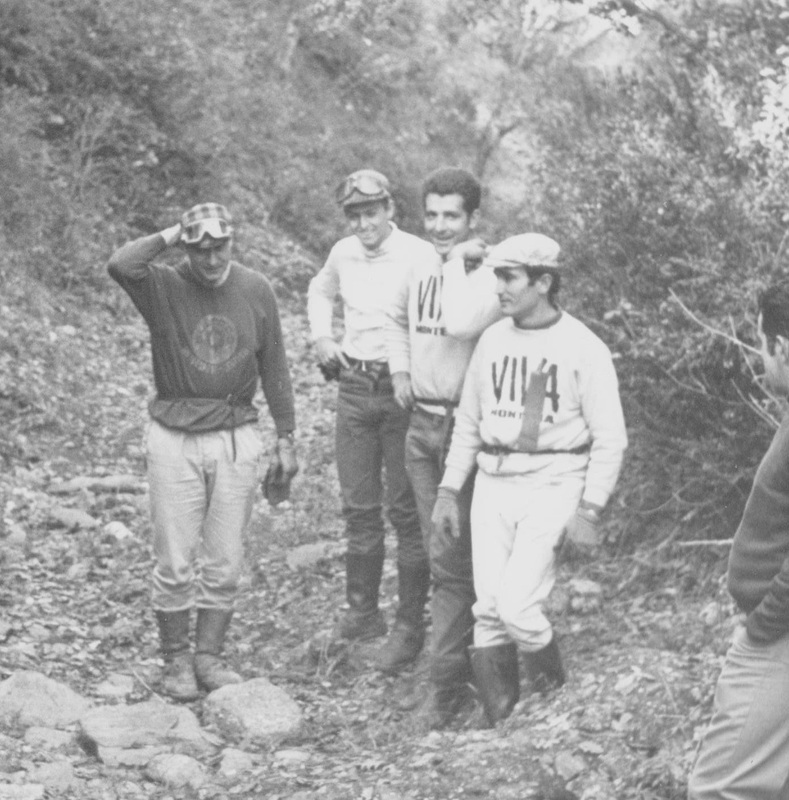 With the team, every time on the top Bultaco. When we do different categories he win one, I win the other class. I win the 175 and 250 categories. In motocross I arrive 2nd in Spain but I wasn't able to make 2 of the competitions in Europe. After the last round I ride I have a 29 point advantage, Tony Elias in 2nd behind me. Then there are 2 more races and it's not possible for me to go and Tony beat me by 1 point for the championship of Spain. 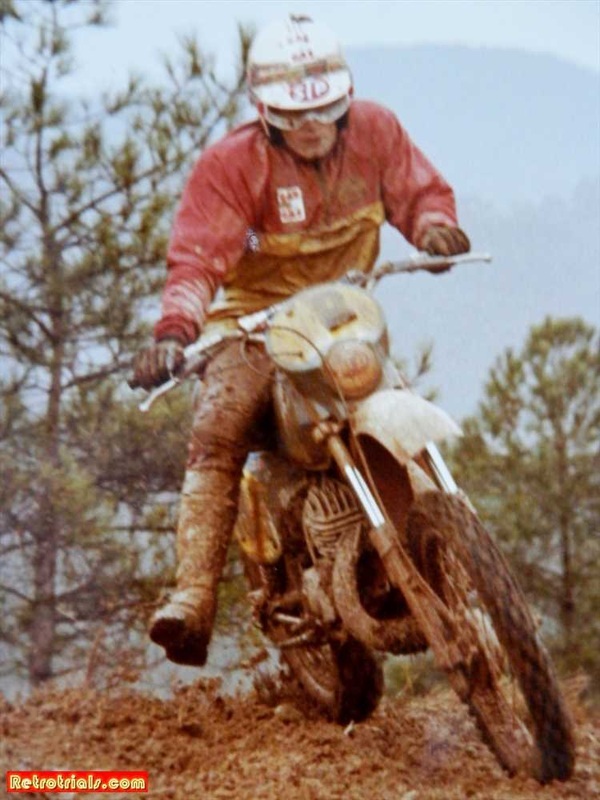 In Bilbao there is an enduro which is very muddy and wet and I arrive there straight from Czechoslovakia. I take the bike and get up the huge hills through the mud and no one else arrives at the top. I finish alone. This was very good. 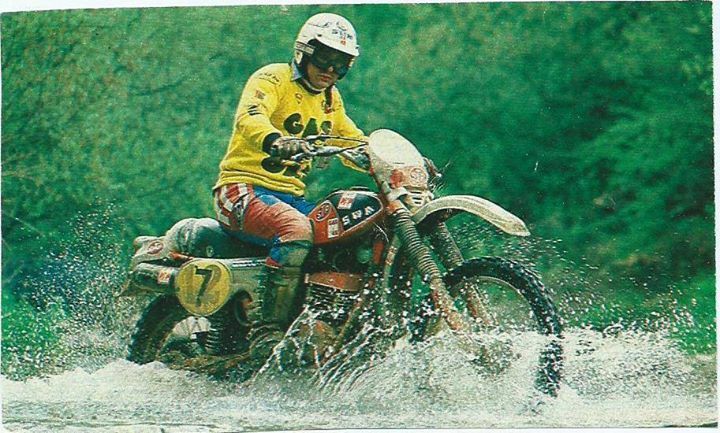 When Bultaco start in the Motocross Montesa was very strong and Ossa. 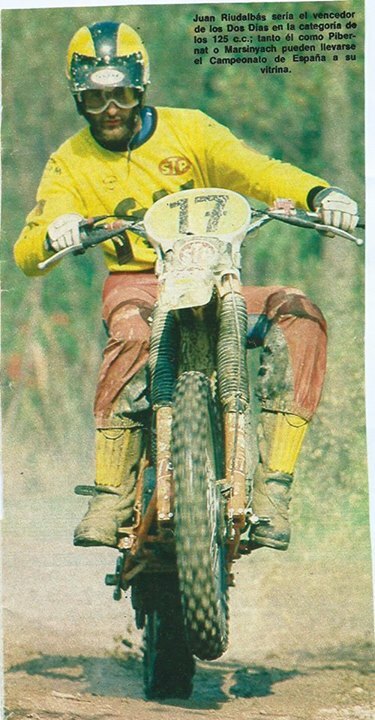 Bultaco take me and Elias from Enduro and put us in Motocross. They say “Piber you must make motocross”. I say I no like but ok and I start this. At this time after I start Enduro I am now riding motocross and enduro at the same time for 2 or 3 years. I maybe make 100 competitions motocross, but I win 99 of them. I like enduro with you by yourself in the mountain with your bike. With motocross it was different, I do nothing just race and the mechanic do everything. I do nothing with the bike at this time.